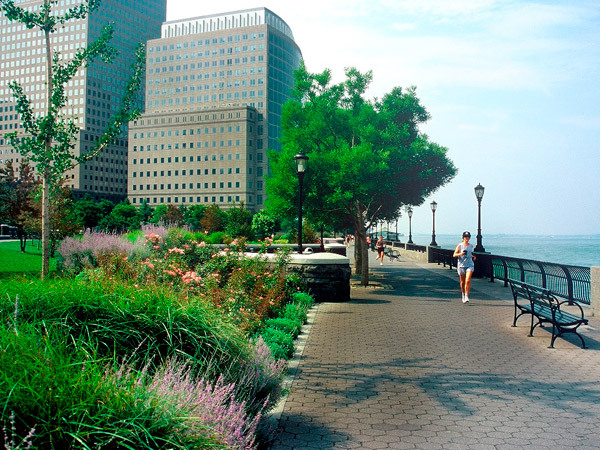 Jutting into the Hudson River and constructed on a former landfill along the western edge of Lower Manhattan, this eight-acre park is the largest parcel of the 36-acre park system developed by the Battery Park City Authority. 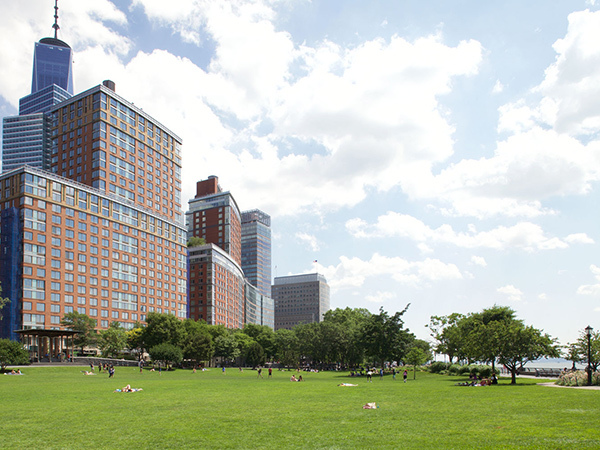 Bounded by the river to the north and west and by high-rise development to the east, the park was designed by Carr, Lynch, Hack & Sandell with Oehme, van Sweden & Associates. 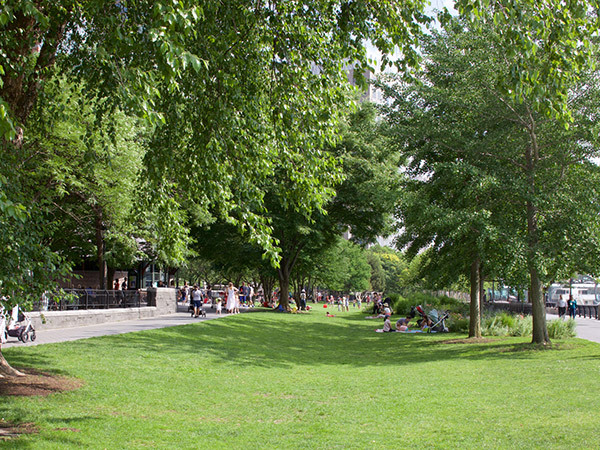 Opened in 1992, the park offers both active and passive recreation, and serves as the northern terminus of the 1.5-mile-long Esplanade. 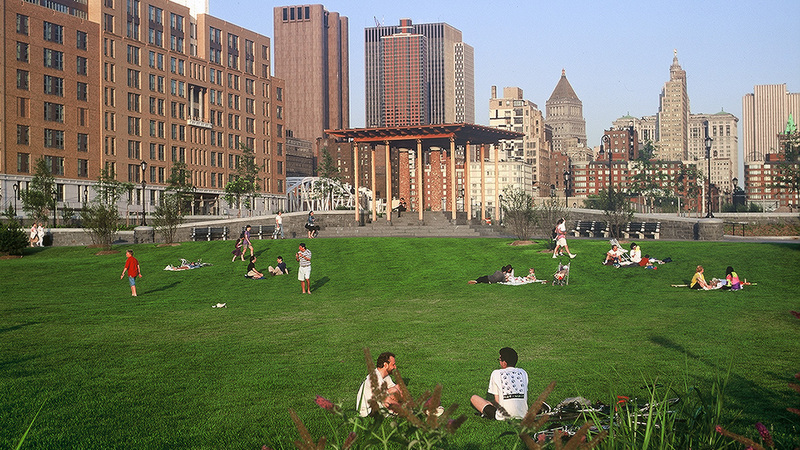 Divided into upper and lower sections by terraces, the parcel comprises several unique, yet interconnected, environments. 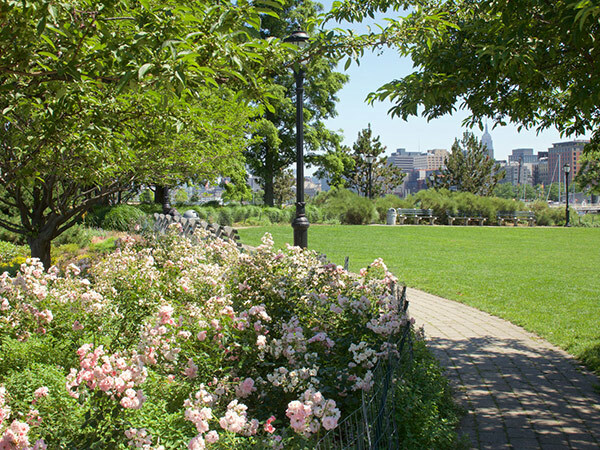 A columned, open-air pavilion designed by architect Demetri Porphyrios, ball courts, and a playground accommodate a diversity of distinct uses along the length of the upper terrace. 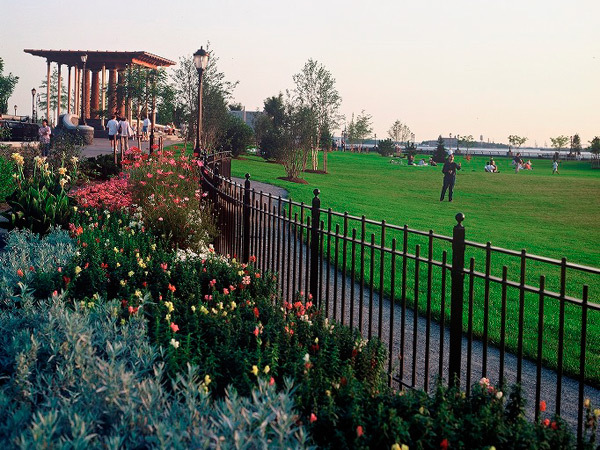 Meandering pathways lined with stone walls and benches pass amidst Tom Otterness’ playful The Real World sculptures and a pedal-powered carousel by landscape architects Johansson & Walcavage. 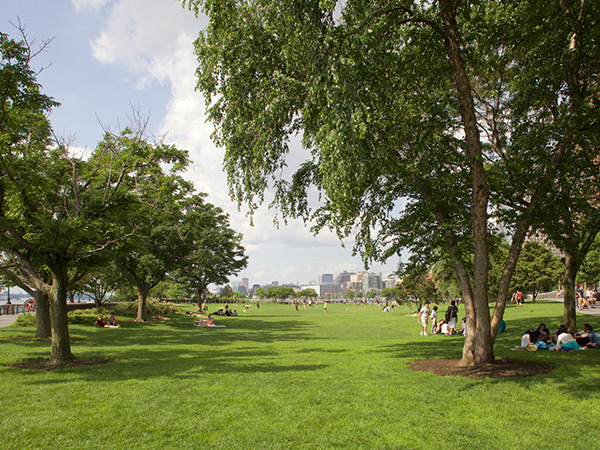 To the north, a large expanse of lawn used for recreation, sunbathing, and picnicking accommodates the grade change from the upper terrace to the Esplanade along the river. 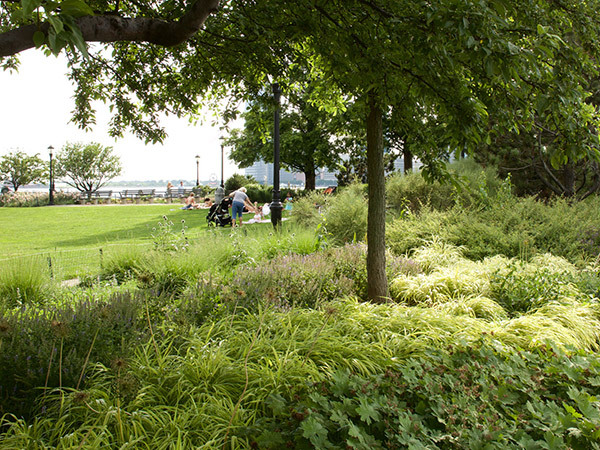 Drifts of meadow grasses and perennials are complemented by rows of specimen pines and copses of maples and oaks. 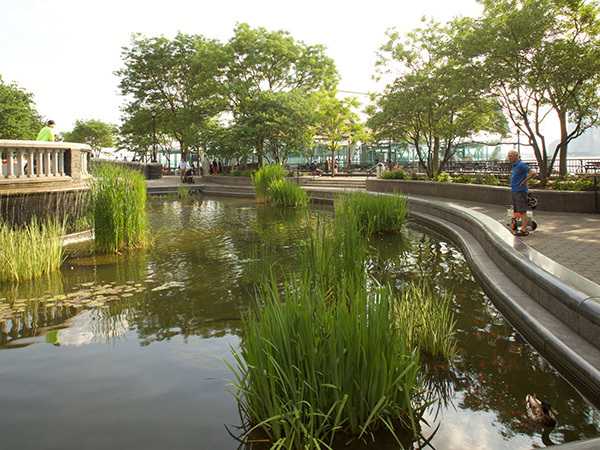 On the southern end of the park, the Lily Pond, planted with aquatic grasses and lilies, is ringed by stepped seating and topped by a balustrade and ornate fountain, attracting migratory birds and park visitors alike.